Ádám, or Ádi as he’s called by everyone met first the guitar at age of 6. It was love for the instrument and the Blues in a second. 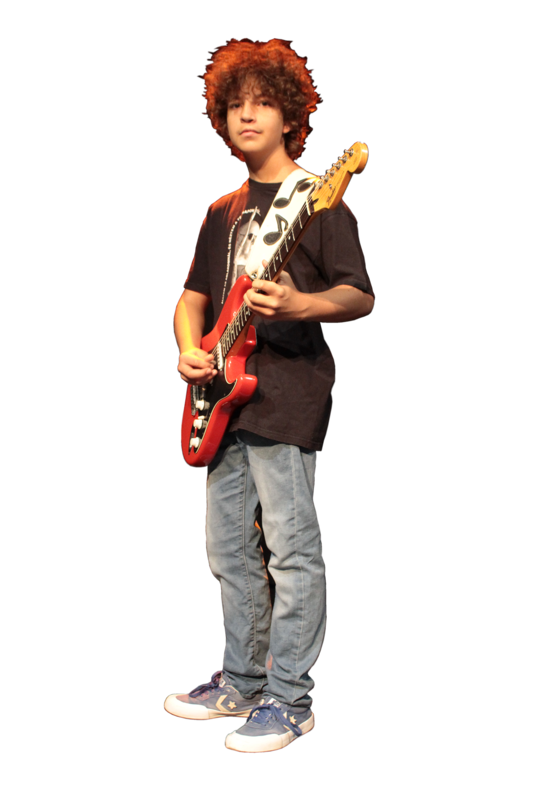 He learned the basics from his dad and from his age of 8 he started learning from some great guitar teachers: Tibor Stefaics, Tamás Katona Senior and Tamás Józsa. Between 10 and 12, as an autodidact he learned alone the style of his guitar heroes: SRV, Hendrix, Albert King, B.B. King, Gary Moore, Clapton). As a result of that he released his first CD at age of 11 („Fehér Blues Factory –Taking off”) which was recorded with two amazing musicians, the bassist Dániel Tarnai and the drummer Zsolt Szebelédi. Both of them were members of the most iconic Hungarian hard Rock band ever, the „P.Mobil”. He played on stage first time ever on 2015 (at age of less than 10 years) with the PMD Blues Band and started playing with Ádám Török and The Mini, as a guest, regularly. And a miracle happened during the summer of 2018: he became the official guitarist of the legendary Mini at age of 13! Never happened anything like that in the history of the Hungarian Rock and Blues music. He plays often with some intenationally known musicians like Henrik Freischlader, Tommy Katona, Cliff Moore, EB Davis, Ben Poole, Little G Wievel and almost with all top Hungarian musicians and bands. He regularly plays in the biggest Central European Blues Festival, The Gastroblues, he played in the historic Tabán Festival (in front of 15 thousand spectators), in the Várkert Superconcert, and also in the worldwide famous A-Trane Jazz Club in Berlin (where Herbie Hancock, Marcus Miller and other world stars plays regularly), in the Moyo Club in Senta, The Virovitica RockBluesfest, etc. According to some well-known musicians in Hungary and abroad, Ádám plays the Blues and has improvisational skills as an adult and doesn’t feel in trouble when he’s asked to play Rock and Jazz, too.